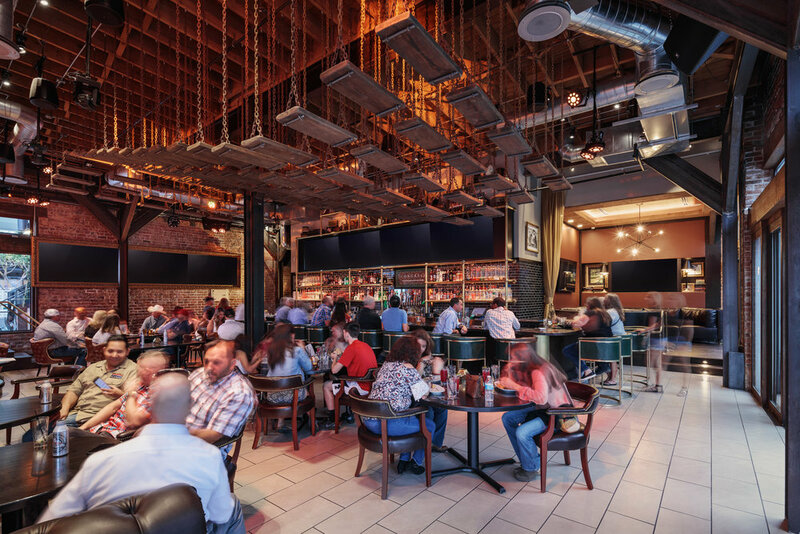 Playground, a popular downtown hot spot and eatery, sought to transform its atmosphere from ordinary to extraordinary. 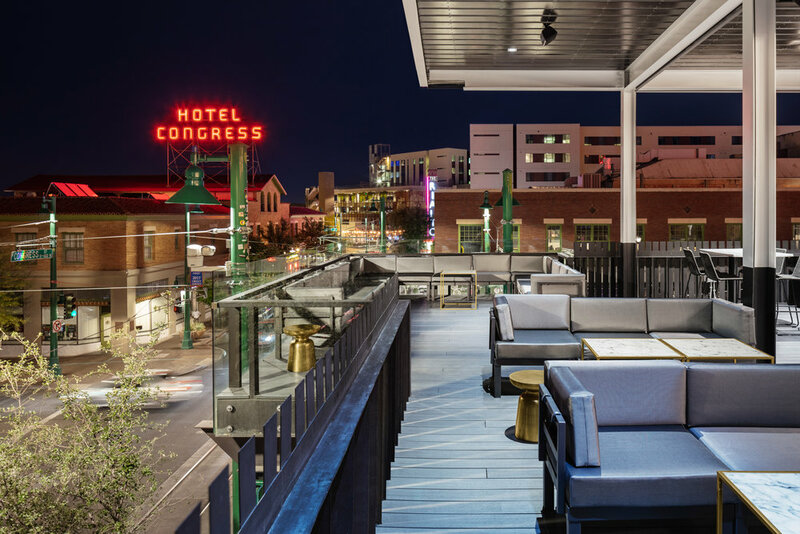 Applying an extensive refresh inside and out, the spaces and finishes were reimagined and expanded to delight the senses and highlight the stellar downtown location. Bars on both levels received extra attention to create a first-class experience. Expanded and shaded patios engage the streetscape and connect to the adjacent AC Hotel. 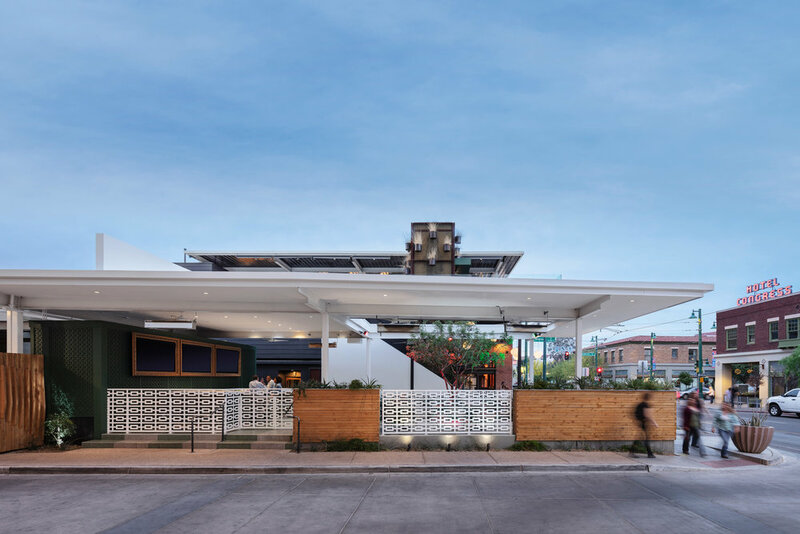 The redesign is punctuated with the addition of a vast roof deck and shade canopy that provides 360-degree views of downtown from an exclusive upper level vantage point. Elegant steel detailing integrates a center skylight, custom slatted ceiling with integrated sound absorption, lighting and sound control all integrated with modern architectural style.